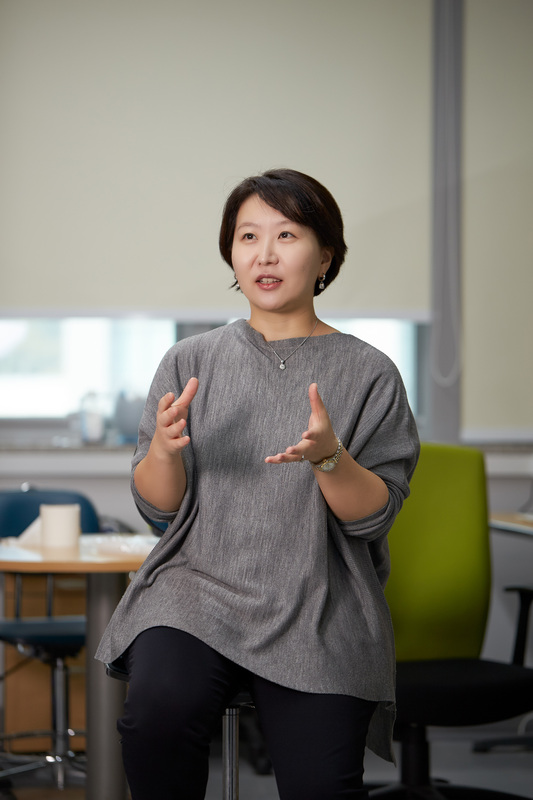 Clockwise from left to right are Sang Min Lee, WooBeen Jo, Jiyoung Oh, Sahee Kim, Research Professor Min Kim, Professor Jiyoung Park, and ChangHu Lee. Schemic image showing the correlation between ETP and liver disease. 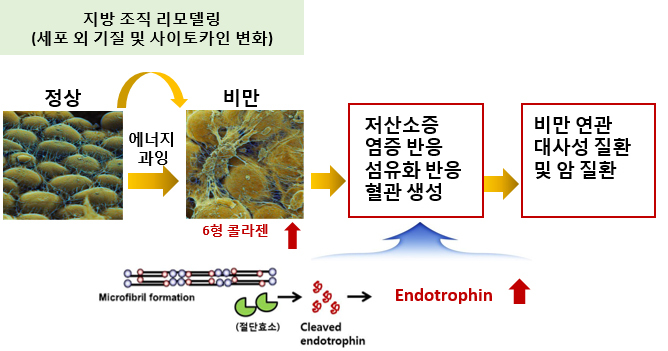 The study reveals ETP plays an important role in the interaction between ‘hepatocytes’ and ‘non-parenchymal cells’ in the progression of liver disease, as follows: ① the signaling pathways from ETP kills the hepatocytes, ② the substances from the dead hepatocytes interact with the hepatocytes, ③ cause inflammation and make the liver hard. 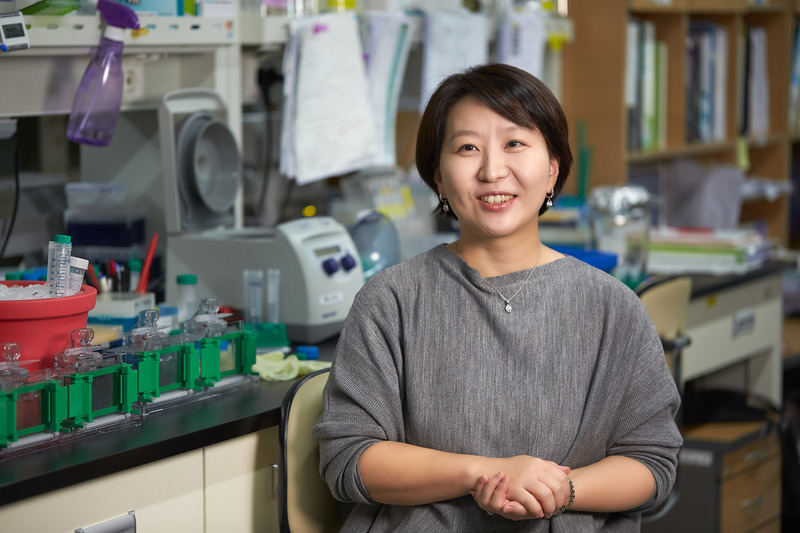 Finally, if the vicious cycle that leads to ‘apoptosis – fibrosis – inflammation’ continues, and ④ chronic liver disease and liver cancer also occur. ETP expression and survival rate in liver tissue from HCC patients. ETP overexpression in liver tissues. This research has been supported by the Research-driven Hospitals Project through the Ministry of Health & Welfare, the Ministry of Science and ICT, and the Basic Science Research Program through the National Research Foundation. The study was published in Journal of Pathology, one of the leading scientific journals in the field of pathology, on September 23, 2018. 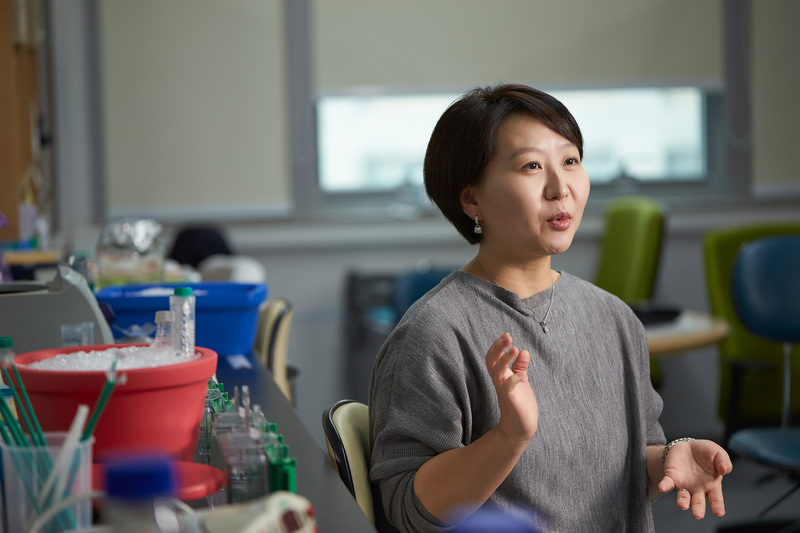 Changhu Lee, et al., “COL6A3‐derived endotrophin links reciprocal interactions among hepatic cells in the pathology of chronic liver disease,” Journal of Pathology, (2018).